Go all in with these two Esports laptop from ASUS! 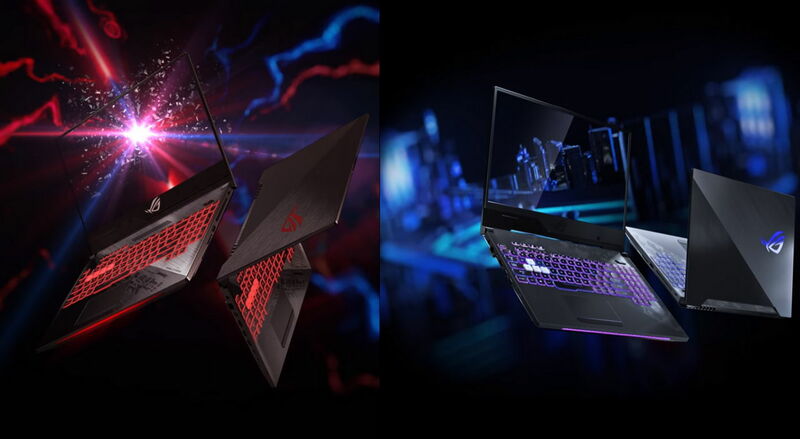 Asus has revealed two new laptops that is designed for FPS and MOBA gaming each, the Strix Scar II and Hero II. The two laptops are updates to ASUS’ Scar and Hero laptops released last year. Both laptops come with a 144Hz super-narrow-bezel display with ultrafast 3ms GTG (gray-to-gray) response time, and a HyperStrike Pro gaming keyboard designed to improved control while playing. While most gaming laptops suffer from high-temperatures in extreme gaming sessions, the HyperCool Pro technology cools the CPU and GPU of both laptops to lessen the slowdown in performance. These two laptops are also the first to feature multi-antenna Wi-Fi improving connectivity. Player’s can take advantage in fast-paced games with a high frame-rate, that is why both the Strix Scar II and Hero II boast the world’s first 144Hz super-narrow-bezzel display with ultrafast 3ms GTG response time. With esports titles, users are guaranteed a higher framerate, allowing gamers to react instantly with-in the game. The Scar II and Hero II are also 2.33cm narrower than their predecessors, without sacrificing screen space screen space. Carrying laptops can also be a pain in the back, but not with these two as they each have an overall weight of just 2.4kg so you can game on-the-go. The Strix Scar II is aimed at FPS players, that is why it comes with transparent WASD keys. Meanwhile, the Strix Hero II is targeted for MOBA fans and comes with transparent QWER keys. Regardless of this, both ergonomically-designed keyboards feature the HyperStrike Pro technology for more responsive command and control. The Aura Sync-compatible RGB backlighting ensures customizability. The SCAR II and Hero II are the first gaming laptops to feature multi-antenna Wi-Fi for stable connection while gaming. The so called ROG RangeBoost technology uses four antennas located on both front and back that scans and selects the best fair of antennas covering dead spots. With 30% wider coverage than other dual-antenna, the latest 802.11ac Wave 2 Wi-Fi standard delivers speeds of up to 1.7Gbps — twice that of 802.11ac 2×2 and 12x that of 802.11b/g/n. Gaming is not a problem with these two as they are powered with the latest 8th Generation Intel® Core™ processor with up to 32GB of DDR4 2666MHz memory, and a choice of either NVIDIA® GeForce® GTX 1060 or GTX 1070 graphics. Everything can run smooth while live-streaming and gaming with its Intel Speed Shift and Turbo Boost technologies that pushes the processor to speeds of up to 4GHz (four-core) and 3.9GHz (six-core) respectively. Each thermal system is powered by HyperCool Pro technology that provides cooling performances and soaks up the heat and spreads it evenly, avoiding thermal throttling and keeping it below 90°C. While two high-performance 12V fans deliver stronger airflow and increased air pressure to cool the CPU and GPU and drive hot air out of the chassis and comes with an Anti-Dust Cooling (ADC) system that expels dust and dirt off the chassis. These laptops also delivers louder and clearer audio via its side-firing speakers with Smart-amplifier and Sonic Studio III system both can monitor and adjust real-time audio that results louder and clearer in-game sounds. The Hero II and Scar II laptops will be available soon in all ROG Stores in the Philippines. The Hero II will be available for PHP 104,995, while the Scar II will have an SRP of PHP 129,995. Next articleWe can’t get over how incredible the Spider-Man: Into the Spider-Verse trailer looks!